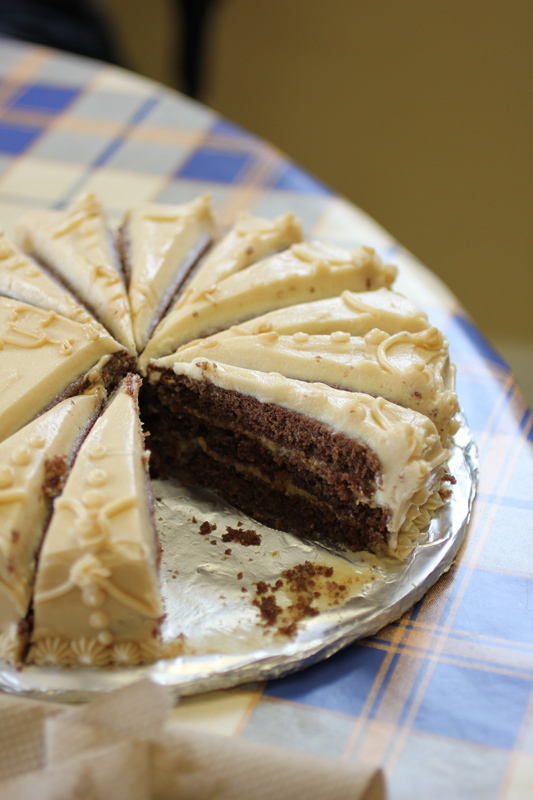 This cake is a chocolate genoise, with mocha buttercream and butterscotch fudge icing for the filling—all recipes came from my school baking file. The inspiration for the piping came from here. This is part II of Michelle's birthday. I made it to supplement the first cake, in case it wasn't enough for everyone (I delivered it to work), and also to say "goodbye Home Hardware"—I worked my last shift there on Tuesday...because I've started a full-time job in a pastry kitchen! That's my excuse for limited posting—it's been two weeks since my last day off, as I was working both jobs for a while. Please make me a beautiful cake when I get home. Also, teach me your skills. it would be my pleasure! 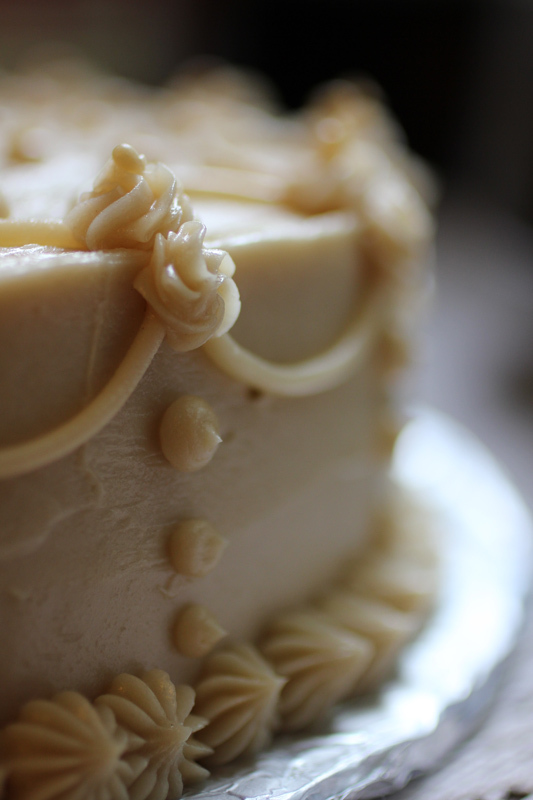 what's your favourite kind of cake? I like all kinds of cake! Amazing! These cakes look so great! Also, congratulations on the new job!!! Just discovered your blog! 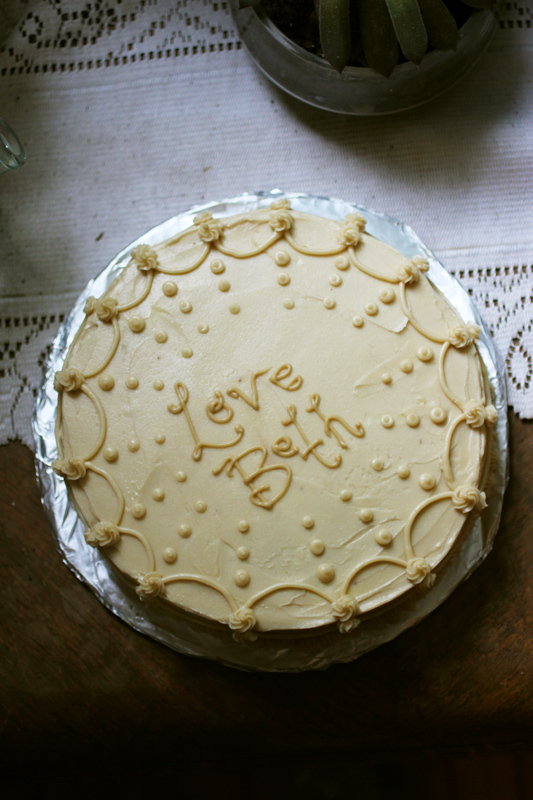 Love your cake, love your natural approach to food. 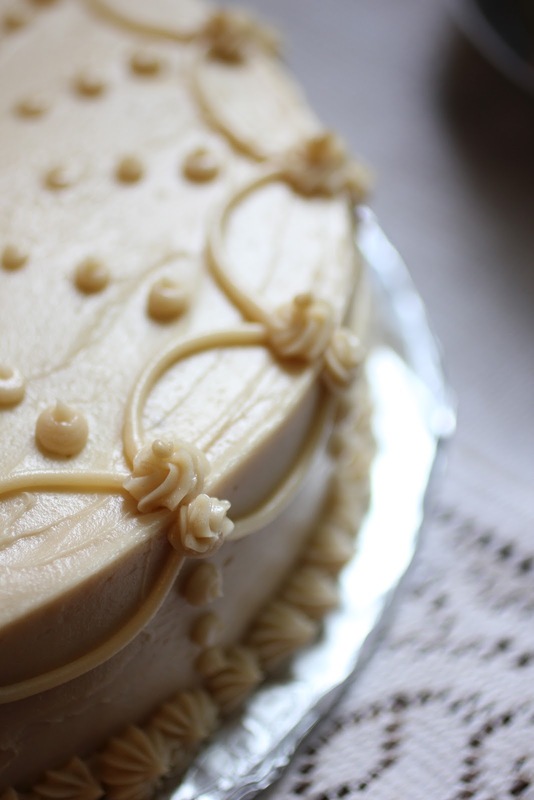 Is it possible to get the recipes for this beautiful cake, buttercream and filling?